In the mood for Fall yet? It's still quite warm here, but that won't stop me from warming up some hot caramel apple cider! Well even if Autumn isn't outside your window yet, at least you can wear it on your fingertips. 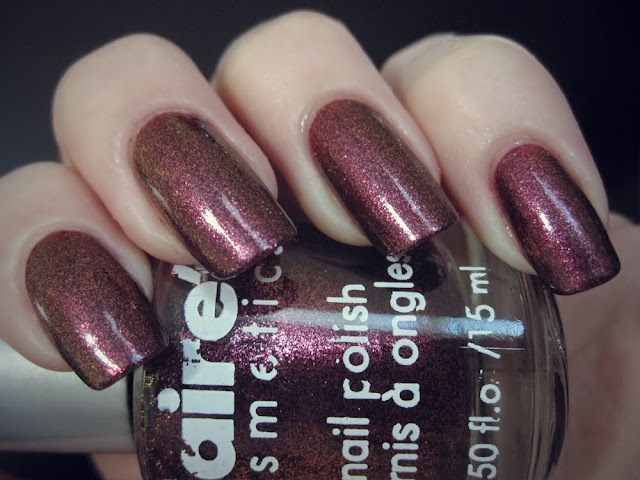 This lovely color came out last year in a trio of Disney villain-inspired polishes from Claire's, and is rather similar (though not a dupe) of MAC's Bad Fairy. 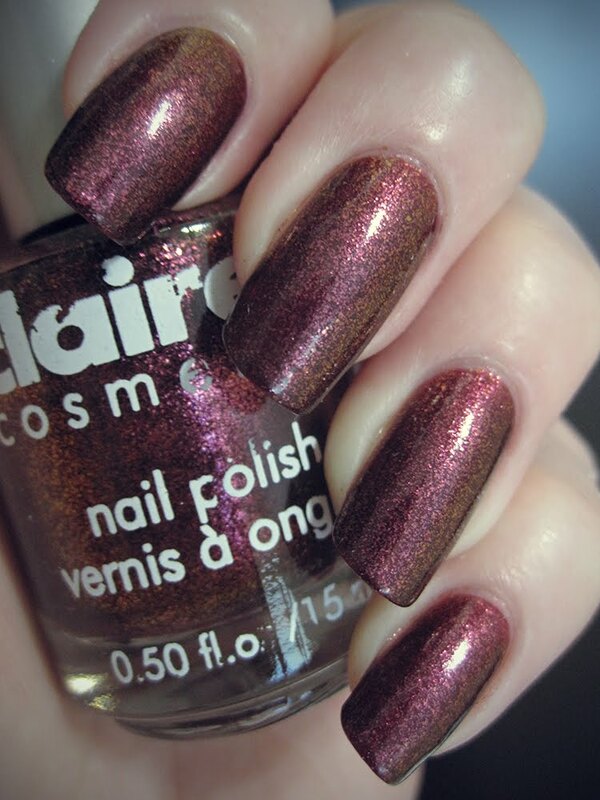 I love the pink-burgundy-bronze shift, and of course the beautiful fleck texture. It takes a few coats to make opaque though so I layered it over an appropriately poisonous-looking bordeaux red. And here is a new Fall polish from Nicole with a stunning array of multi-colored glass flecks, similar in appearance to Zoya's Feifei and a few other polishes that have come out recently, but definitely a unique color. For Gold Times Sake combines gold, pink, blue, and green flecks in a pewter-ish base that shifts burgundy. It's truly a chameleon, and even more amazing in person. What colors do the turning leaves and pumpkin spices have you reaching for?